Though our campers travel from parks to zoos to Ultrazone and more, a great deal of their time is spent at SwimWest Swim School and Badger Gymnastics Academy. Below is a bit of information about each location. 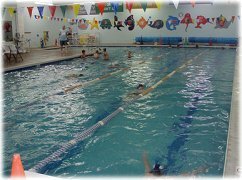 Founded in 1990, SwimWest Swim School offers one of the industry’s most dynamic swim curriculums in Dane County. With our systematic approach to water education, we’re able to track and acknowledge our students’ progress at each stage of development, offering the encouragement and training they need to be safe and successful. But just as i mportant as what we teach is what we believe. At SwimWest, our philosophy is to provide all children, regardless of age, race, or special needs, the best aquatic experience, to teach the necessary skills to be safer in the water, to nurture a love of swimming, and to educate parents about water safety and the aquatic learning process. 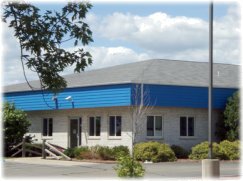 Since 1976, Badger Gymnastics Academy has offered a wide variety of gymnastics and tumbling classes for students of all ages and abilities in the Madison, Wisconsin area. Jessie Carlson, owner of BGA, has been a fixture at the gym since she was a child. Her father, Joel Alberti, was the original Program Director of Badger Gymnastics Academy when BGA first opened more than 30 years ago, and eventually became a part owner. Joel was instrumental in bringing the popular youth gymnastics classes to BGA, and developed the curriculum for the classes that has evolved into the Tumbleweeds program today. The current competitive team coach, Tom Nikl, has been with BGA since its founding. 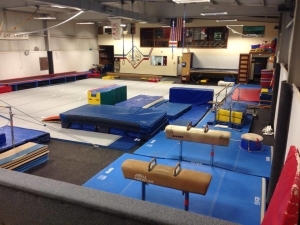 Today, Badger Gymnastics Academy offers instruction to a wide range of ages and abilities, from toddlers through adults, and from beginners through gymnasts competing at the team level. 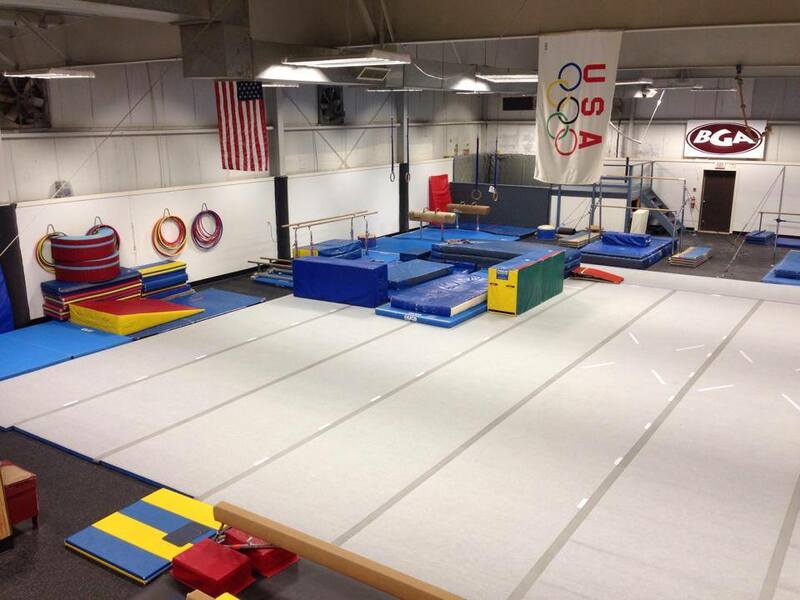 BGA offers 2 full sized gyms, an observation room, a pro-shop, and a competitive team sanctioned by USA Gymnastics. The gym has always focused on providing excellent gymnastics instruction in an inclusive, fun and safe environment.